Playing football is fantastic, for your mind, body, and soul. The sport is associated with a plethora of benefits. But unfortunately, like everything else in this world, football isn’t perfect and can have some negative effects as well. Football is undoubtedly great for your body. It has been associated with a reduced risk for cardiovascular diseases, diabetes, and some other chronic illnesses. The sport increases agility, dexterity, mobility, aids in weight loss and muscle gain and improves bone strength. It not only helps your body but your brain as well. It can result in neural growth and increased connectivity between different areas of the brain. Football, like any sport, has some psychological benefits as well. One study conducted in Europe found that women and girls who play football showed higher levels of confidence, self–esteem, and motivation compared to those who don’t play a sport, or those who play a different game. The game has been associated with an improved effect, due to all those feel-good neurotransmitters and hormones, like endorphins, and serotonin, which are released when you play. These chemicals are responsible for creating an elevated mood, and improving concentration as well as sleep patterns, self-esteem, resilience, and creativity. Football can be a great way to combat mild to moderate depression. It is also an excellent anti-anxiety treatment and can be an effective stress buster. Studies have shown that the effects of exercise and sports have similar impacts on ADHD medication. 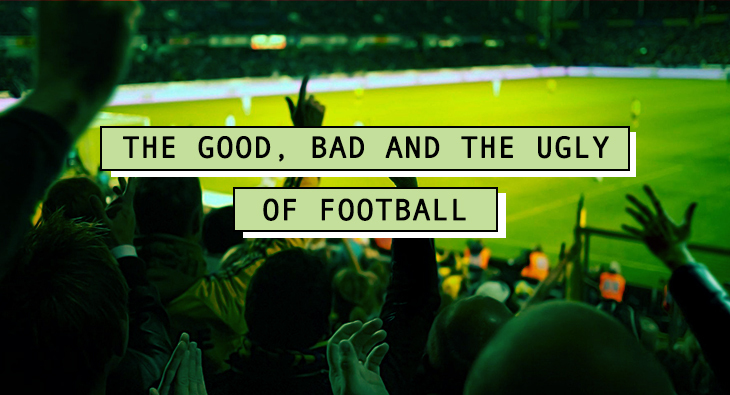 Despite having a long list of plus points, football does have a dark side. Autopsies of several athletes revealed that almost all contact sports, football included, has been linked to Chronic traumatic encephalopathy, a neurodegenerative disease that produces dementia-like symptoms, found only in people that have had multiple instances of head trauma, due to all those concussions and micro-concussions that occur on the field. Reports also show that the resting state of brains that have suffered mild trauma is compromised, ironically resulting in a potential link to a host of dysfunctions in the long run, including depression, anxiety, and fatigue, due to increased and prolonged use of the prefrontal cortex.